Big Blue is not known for making revolution internal changes to its business. After all, the way they do business has worked for over a century. When it comes to technology, however, IBM has lately been very keen to accepting new software, particularly software that is free and open source (such as Linux). In what will undoubtedly send ripples through the Web, IBM has announced that Mozilla Firefox will be its new official browser. All 400,000 IBM employees are expected to make the switch on their desktops and laptops. 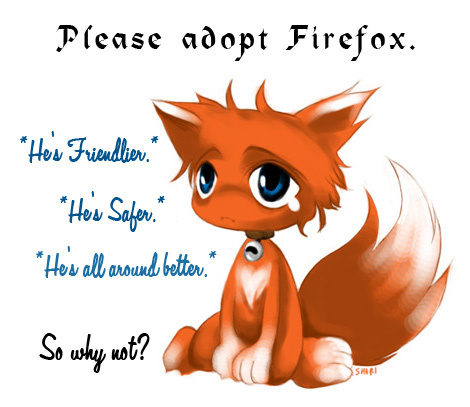 IBM believes Firefox is “enterprise ready”, and as more of their products are sold as web applications and cloud services, one can safely assume that IBM will recommend Firefox to their customers. Since its creation, Firefox has gradually chipped away at the large browser market share held by Microsoft’s Internet Explorer. Over the past year, however, Google’s Chrome browser has stolen some of the spotlight. This move by IBM will certainly give Firefox a boost. For web hosting providers that use IBM’s services, it will make sense to use Firefox, if IBM optimizes their applications with the open source browser in mind.